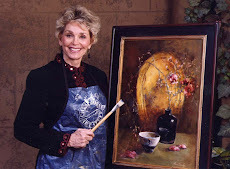 My thanks to the juror, Hebe Brooks, from Houston who judged this show at the Eisemann Center in Richardson, Texas. I had the fun of going with a friend who loves music and loaned me her dance shoes the first time we met at Ball Room Dancing lessons a year ago. The Reception had a sweet 5 piece jazz band and good eats. It was fun to share the evening with her. The Richardson Library now owns this piece of work which was done from photographs I took some years ago. The man had a black lab dog on his right that you do not see in the painting. 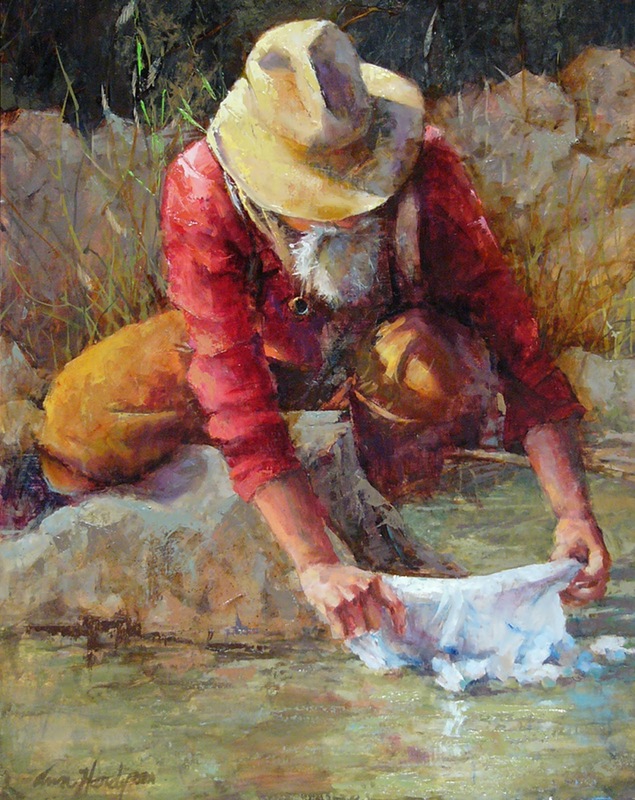 He had taken his handkerchief from a pocket and was putting it in the water to then take and cool his dog off. Thought it was such a nice thing to do and glad I got his photo for the memory of the deed.